It has been brought to our attention that several readers have noticed that people seem to die quite frequently in our reporting since Era Error's inception. We would like to take a moment to confirm that those assumptions are in fact correct. People in video games die all the time. It just so happens that the people who make games or are involved in the industry in some shape or capacity die all the time too. To celebrate the incredibly high homicide rate of the ERRORverse and the merciless deaths of many, we've decided to add a Kill Counter to the website. At no point ever again will someone wonder how many people were brutally killed off for the most asinine reasons during our chaotic reporting of the video game industry! We understand that it's been a real struggle for some and we deeply apologise for overlooking this feature for so long. We grossly under-estimated how much Gamers love knowing how many people have been brutally murdered in virtual worlds. 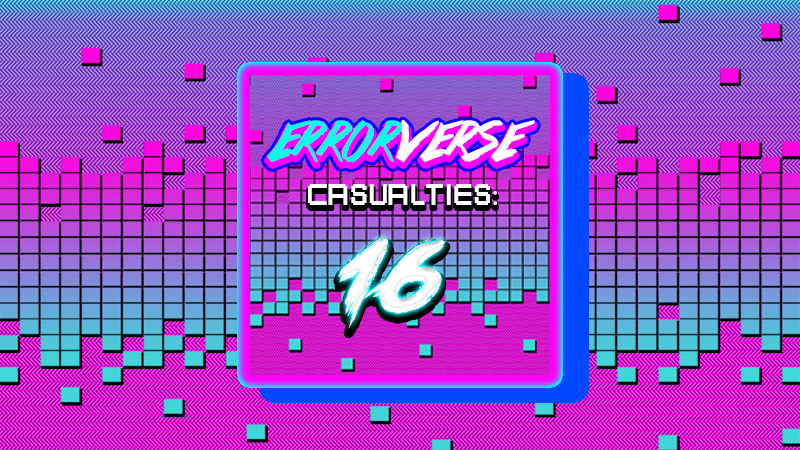 We hope the bold number of casualties in the ERRORverse helps your twisted sense of self-satisfaction more than your useless Kill/Death ratio does!